On 17 October 2013 some of House Otto’s residents went to Mamelodi, Pretoria and spent the day at a taxi rank with a seatbelt convincer to try and convince some taxi drivers and other members of the public to use their seatbelts. 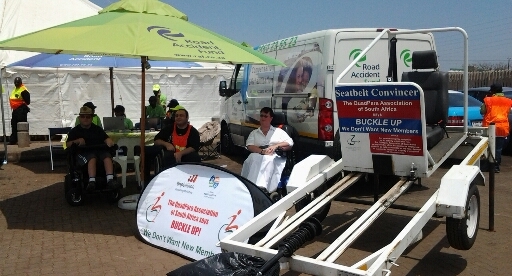 We where invited by the Road Accident Fund in conjunction with SANTACO to the launch of their Hlokomela Campaign. 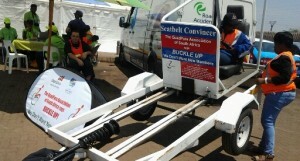 This is an effort to reduce the high accident rate on our roads involving minibus taxi’s. A member of the public taking a ride on the seatbelt convincer which simulates a head-on collision of 8 km/hour.